from Thursday, August 11, 2016 to Sunday, August 14, 2016. 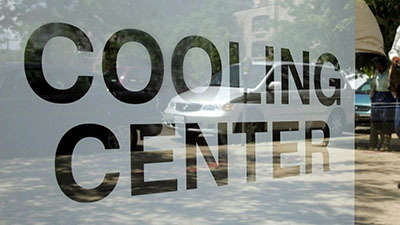 JERSEY CITY – Mayor Steven M. Fulop and the Jersey City Office of Emergency Management (OEM) announce that the City is opening three cooling sites from Friday, August 12th through Sunday, August 14th as temperatures are expected to reach into the high 90’s. The weather forecast indicates that in addition to the high temperature, people must be aware of increased humidity levels and poor air quality. The Mary McLeod Bethune Community Center, 140 Martin Luther King Drive, will be open from 9 a.m. to 9 p.m. all weekend for residents to cool off. The City’s two senior centers – the Joseph Connors Senior Center, at 28 Paterson Street and the Maureen Collier Senior Center, at 335 Bergen Avenue, will be open as well from 10 a.m. until 6 p.m.
All residents, especially the elderly, disabled people, pregnant women and children under the age of two are encouraged to stay indoors or take advantage of the cooling facilities if necessary. The Jersey City Free Public Library system is also open for residents looking for a cool place on weekdays and Saturdays. For a full listing of library hours, please visit: http://www.jclibrary.org/hours.